The Sinclairs and Brucemore Estate – Only three families owned Brucemore Estate from the time it was built in 1884 to when it was bequeathed to the city in 1981. Each of these families reflected the values of and were influential in the community surrounding the estate. These families were leaders in business and social strata within a time in which the Midwest was evolving at a rapid rate. 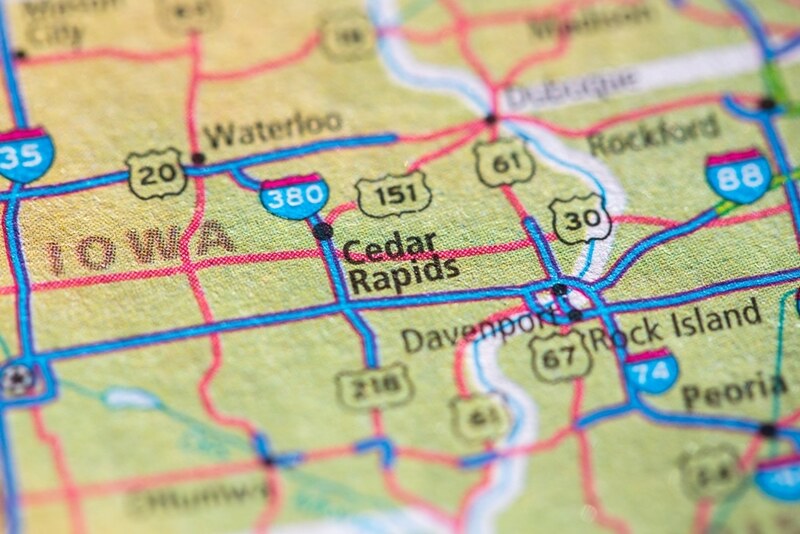 Each family left its own indelible mark on this property, the community, and from the stories they have left behind, our understanding has been shaped regarding modern-day Cedar Rapids. Of these families, perhaps the most important is the Sinclair family; the matriarch of which is responsible for the original concept and building of the Brucemore Estate. Caroline Sinclair had the home built between 1884-86 as a place for her to raise her children. Cedar Rapids, Iowa was fast becoming known as a center of industry in the Midwest, and Brucemore (first called Sinclair Mansion and then Fairhome) symbolized this development. The Sinclairs were newlyweds when they moved to the area in 1871. Caroline’s husband was T.M. Sinclair, the owner and founder of Sinclair & Company, the world’s fourth largest meatpacking plant. In 1881, during a routine inspection, T.M. fell down an elevator shaft and passed away soon afterwards. Caroline became a widow raising six children on her own. She commissioned construction of Brucemore three years later. It took two years to finish, and had three stories and 21 rooms. The land was ten acres, giving the children ample space to roam and grow. While it was less than two miles to town, the property was secluded enough that they enjoyed country living while still having amenities close by, and her brother’s estate was also very near. Even though the home was perfect, access to schooling thought good enough for her children was absent, and she purchased another home in Pennsylvania in 1887 in order to provide an East Coast education for her children. They then spent summers at Brucemore. Caroline continued the philanthropy that had been started by her husband in Cedar Rapids. By 1905, all of her children had reached the age to start their own lives. She attempted to find a charitable function for Brucemore, but was unable to solidify anything. Eventually, in 1906, her and another family in Cedar Rapids simply traded homes. She lived in the Douglass’ home, which is now a chapel, until she passed away in 1917.